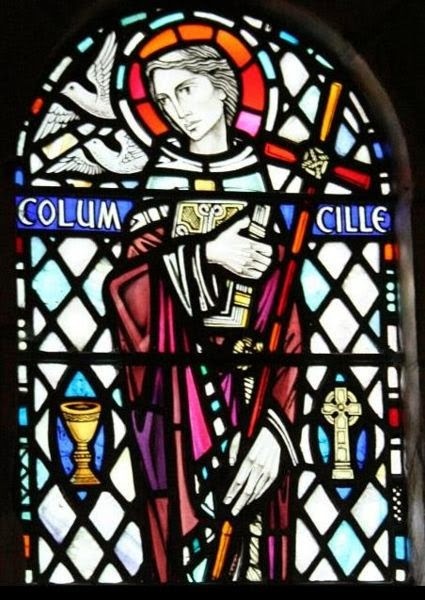 As the legend goes, Saint Columbkille (also called Columba) ate a cake filled with the letters when he was a boy, and after that he always loved to read and write. He especially loved reading the Bible. He grew up to become a monk who worked as a scribe 1,000 years before the printing press was invented, when the Bible had to be copied very carefully by hand. There are many other legends about Saint Columbkille, but what we know for a fact was he started a monastery on the Scottish Island of Iona, bringing the Gospel of Jesus to many people. Make your own cakes with letters to help you remember that we should all love the Bible as much as Saint Columbkille did. 2. In a large pot, melt the butter over low heat. (Add a dash of salt if your butter is unsalted). Stir in the marshmallows and continue to stir until they are melted. *I created this recipe because Saint Columbkille is my husband's and my son's confirmation saints. I hope you enjoy it as we do every year! Saint Columbkille, pray for us!